My friend Wren recently visited from out of town. He is also an alternative transportation enthusiast, so I asked him a few questions about the 2 days he spent on his own exploring Pueblo by bus, bicycle, and walking. What was the purpose of your visit to Pueblo? I was in Pueblo visiting a friend primarily, but also just checking the town out, because this part of the country intrigues me. Where did you come from and how did you arrive in Pueblo? I arrived in Pueblo from, most recently, Denver Via greyhound, but it was just one stop on a trip that involved planes, trains, and ridesharing. 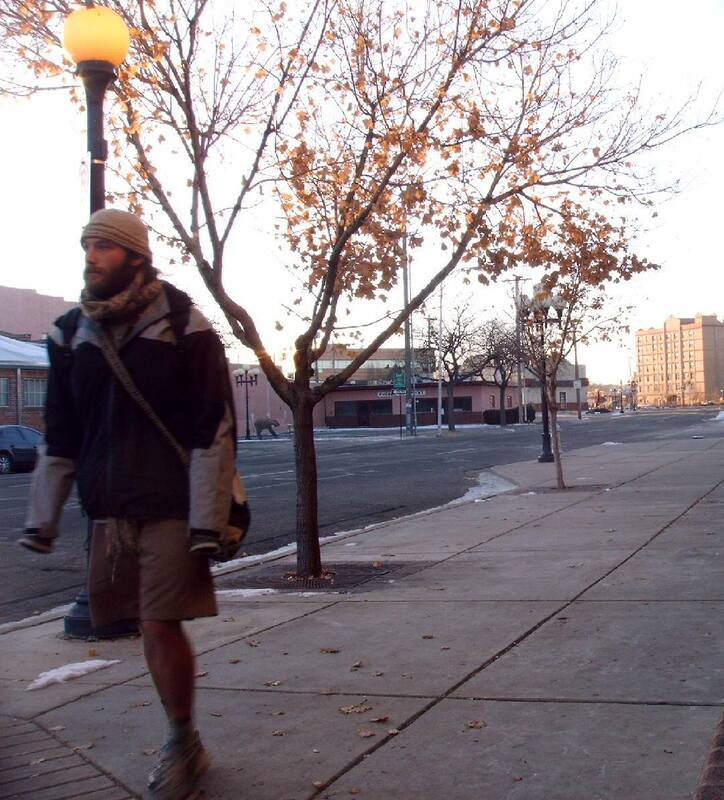 What was your experience like getting to Pueblo using transportation other than an automobile? It saddens me that the only reasonable way to get to Pueblo without a personal vehicle is by either Greyhound (which I always seem to have a bad experience with) or El Paso/Los Angeles Limousine Service (which has no website which makes for difficult booking). Being that Pueblo is very much a part of the population center of central Colorado, it seems like there should be a public option to arrive to the town. That said, besides the myriad inconveniences of Greyhound, I arrived and departed without incident. 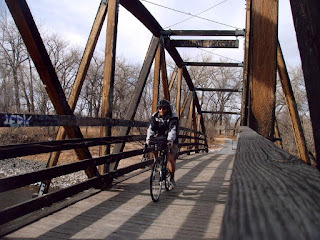 What was your experience like in Pueblo while walking and bicycling around the city? 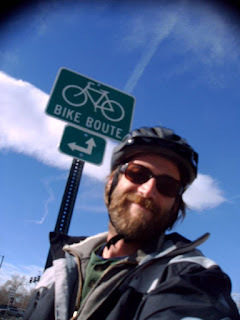 I found Pueblo to be very walker and biker friendly, esp. the latter. I found good walking trails, sidewalks, bike lanes, and wide untrafficked side streets, enough to feel like the accessibility of the town to those who go carless is much higher than other cities of similar size I've visited. I'll have to make my next visit to coincide with a more temperate climate so ice in bike lanes isn't such a big issue. What did you think of the public bus system? It takes a long time to get to know a bus system well and I only rode the Pueblo public bus system once, so I can't fully comment on its comprehensiveness and usability. My initial reaction is that, while the system seems to cover what needs to be covered, the schedules don't seem particularly convenient or frequent. From the perspective of an out of towner, I found there to be a pretty significant hurdle to figuring out how to get where I want to go. The website is hard to use, esp. with having schedules and maps in PDF format, the maps don't clearly display street names and instead rely on business names (which isn't very helpful for someone who doesn't know the town), and the bus stops don't have time tables to allow for just hopping on a bus. But with the lacks of the system, I still recognize that it isn't the bottom of the barrel when it comes to public transit systems. The downtown station is big, new, and clean (although lacks any sort of comprehensive map or schedule information), the price is quite reasonable and the buses use very convenient fare machines (if you don't have exact change, you can get your change back on a card, I think), and it seemed like you could, if determined enough, get close enough to most places you might need to go. You have traveled in a wide variety of places both nationally and internationally with alternative transportation a focal point, how does Pueblo compare to the rest of the United States? Compared to the rest of the world? In terms of infrastructure (bike lanes, sidewalks, transit system, etc. 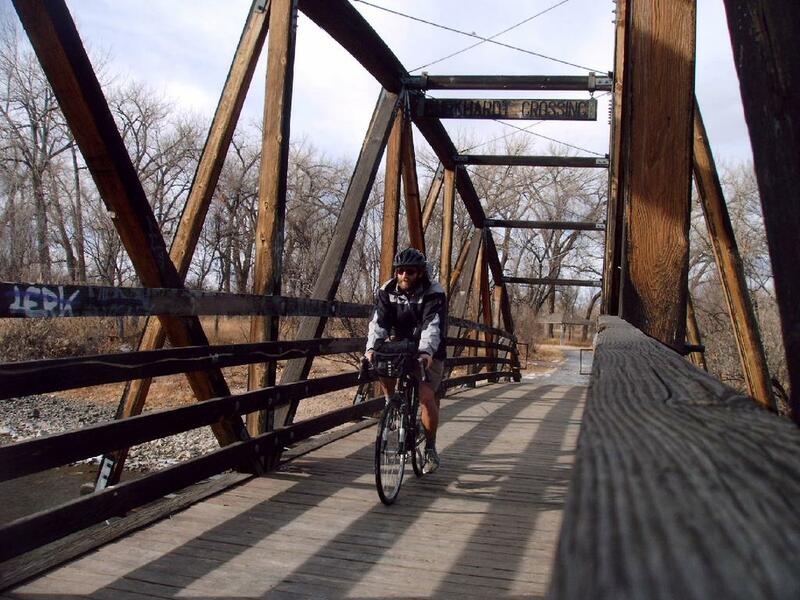 ), I would definitely rank Pueblo above average in comparison to other US towns when it comes to alternative transportation. In terms of layout of the town, I rank it about average. The town was definitely designed with the car in mind and that makes a huge difference. Perhaps because of this, driving is far and away the standard. So when it comes to participation of the residents in alternative transportation, it feels to me that Pueblo compares pretty poorly. I saw very few people on the buses and always seemed to have the bike lanes to myself. Comparisons of any US city to the rest of the world almost seems like a joke. Personal vehicle saturation is so high here compared to almost any other place I've ever been that it isn't really surprising the alternative transportation options and usage are lacking. Sure we have nice new bus stations, but the buses run rather empty. Buses run between towns 4 or 5 times a day rather than every 20 minutes. Pueblo falls right into the good-but-not-really-good-at-all American system. 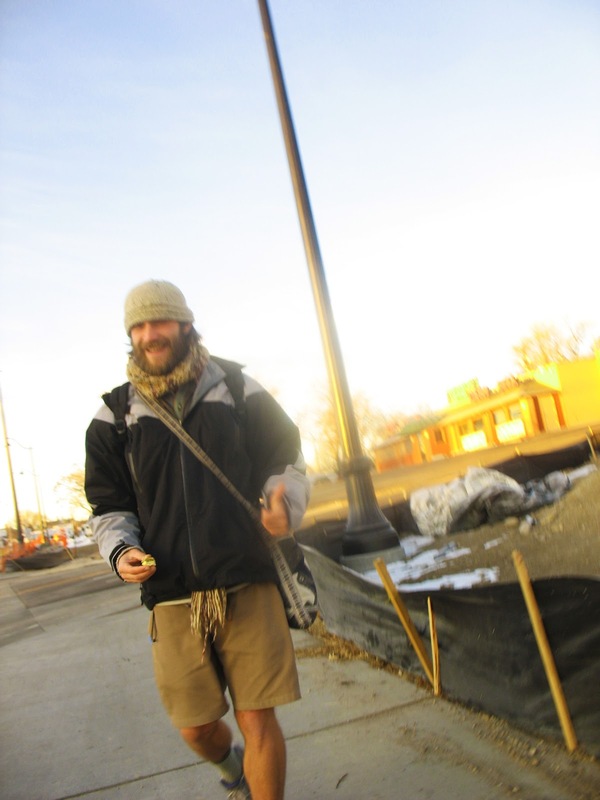 Overall, I was impressed with my ability to get around Pueblo without a car. Hopefully next time I come back, it will be better still! Isn't there Amtrak thru bus service too? Or is that contracted to Greyhound? The Amtrak is contracted through Greyhound. I think the closest train station is La Junta maybe? I spoke with the amtrak people (because I was looking for anyway to avoid taking Greyhound) and their thruway service is only available if you are coming into Denver on amtrak and want to continue on to Pueblo (or leave from Pueblo and have a continuing ticket from Denver on Amtrak). I don't, however, know if it is tangled up with greyhound or not. Wren, that is correct. You can only buy a bus ticket to Pueblo if you are getting off the Southwest Chief in Raton, NM. However, you can buy a ticket on that bus directly through Greyhound which runs the service. There is one bus a day each from Trinidad, La Junta, and Lamar.